With everything that Italy has to offer one might wonder why someone would even bother making a list like this because it should be so obvious, it’s Italy! Well I say one sometimes needs a reminder of why it is such a special place and one needs to spread the word. Italian food has conquered the world like no other cuisine has. One could almost say that the Roman Empire never collapsed but merely turned into a kitchen, ok maybe it’s just me but Italian food has no equal. Almost every town, city or village in the western world will have an Italian restaurant of some sort in it. 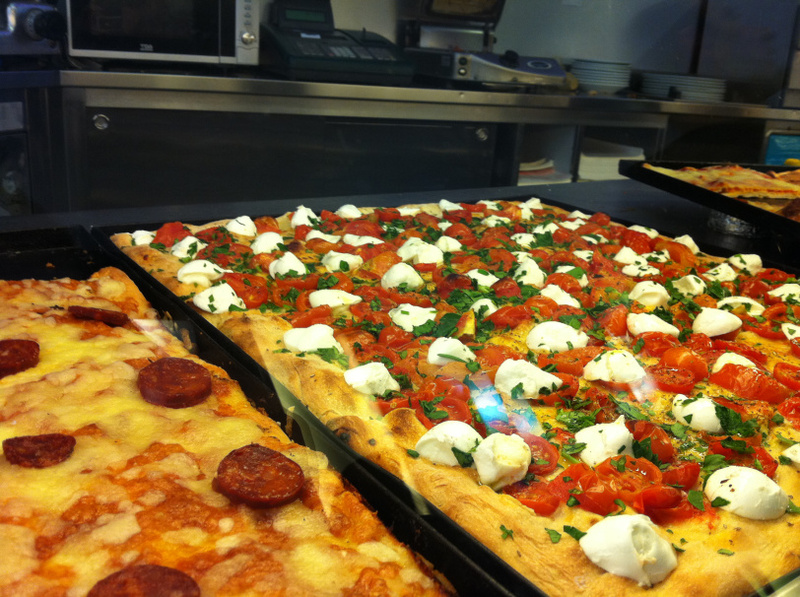 Pizza and Pasta is what Italian food is all about and you can ask anyone, they all know their favourite pasta or pizza recipe by heart and they will all be different. Food tours in Italy are very popular and so they should be. Spaghetti Carbonara, Lasagne, Pizza, Spaghetti Meatballs, Salami, Pepperoni and Ravioli are among some of the best dishes that Italy have to offer. Eating a traditional Spaghetti with Meat sauce in Rome or tasting Prosciutto in northern Italy, where they still cure meat in the age old manner of hanging it in cold mountain caves for months, is one of the most exceptional experiences one will ever have. The reason for this is because Italians are very passionate about their food and they take real pride in each and every dish that they put forward. Do not forget about their Gelato, something for those with a sweet tooth. The eternal city has it all, beautiful architecture, great food, interesting people and history around every corner. The Roman Empire once ruled over most of the known world and they used those resources to build the biggest city the world had ever seen. The city has ancient architecture that is so beautiful it still draws people from around the world who come and view it, hundreds of years after it was built. Rome was the centre of the Roman Empire, the seat of emperors, popes and kings, Rome was the epicentre of the world for many years. 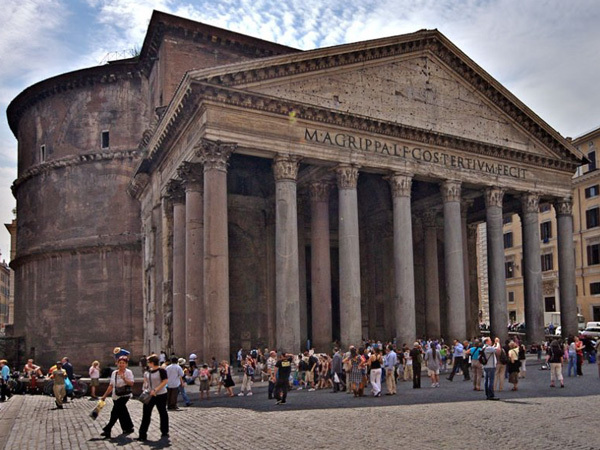 The power and the wealth of ancient Rome is displayed in the magnificent buildings, monuments and structures that they built many years ago which still stands today. 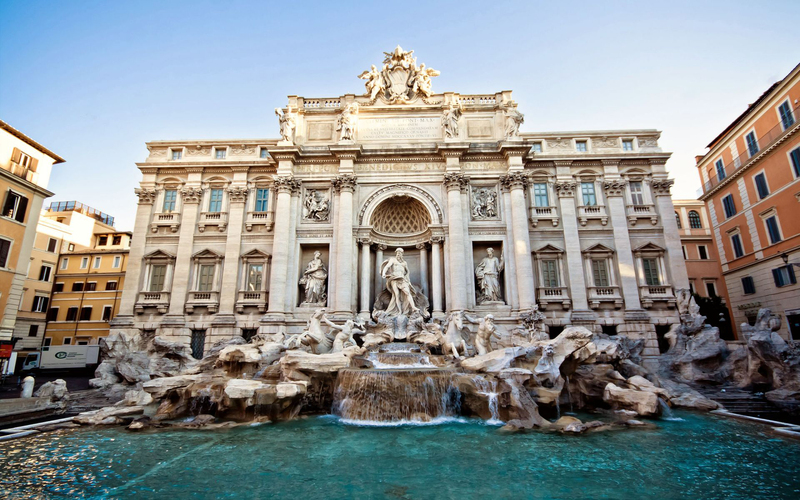 The city is home to arguably the most beautiful historic buildings and structures in the world like the Trevi Fountain, Spanish Steps, Sistine Chapel, Pantheon, Vatican, St Peter’s Basilica, Roman Forum and perhaps the most famous structure in the world, the Colosseum. One will never experience all there is to offer in Rome over one holiday, one needs to stay in the city for months on end to really learn the history of the city and experience all there is to offer in Rome. One simply needs to take in as much as you can when visiting the eternal city without having to rush to every attraction. The places you missed you can come and experience on your next trip, trust me you will be back, as they say all roads lead to Rome. 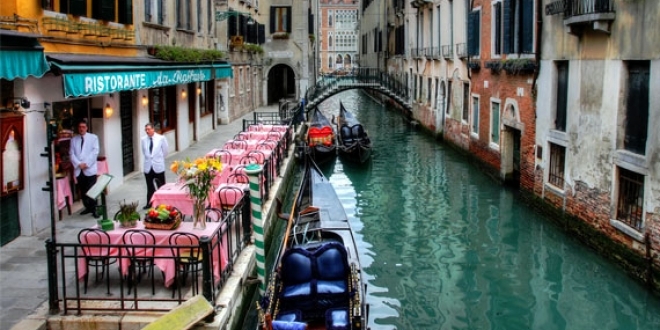 Venice is without a doubt the most romantic city in the world, and a prime reason to travel to Italy. 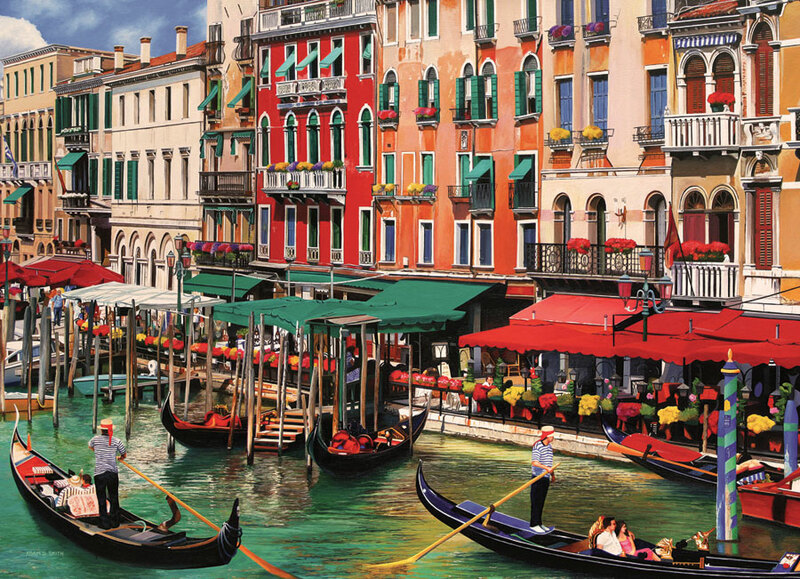 Honeymooners and couples from around the world flock to this city to ride on a gondola through the canals of Venice under the Rialto Bridge while being serenaded by their gondolier in his mother tongue. Snaking through the canals of Venice is a truly unique experience that cannot be matched by any other city in the world. The Grand Canal which runs past the Basilica di Santa Maria della Salute is first on the list for all travellers to Venice. The best way to explore this city is to simply get lost and walk around the small passageways and along the canals. Masquerade balls originated in Venice in the 15th century during the Venice Carnival and the Venice Ball today is still the biggest event on the cities social calendar. Visiting the Rialto market in Venice is an amazing experience, walking amongst locals while they eye out the fattest and freshest fish on display, as they have been doing for hundreds of years. 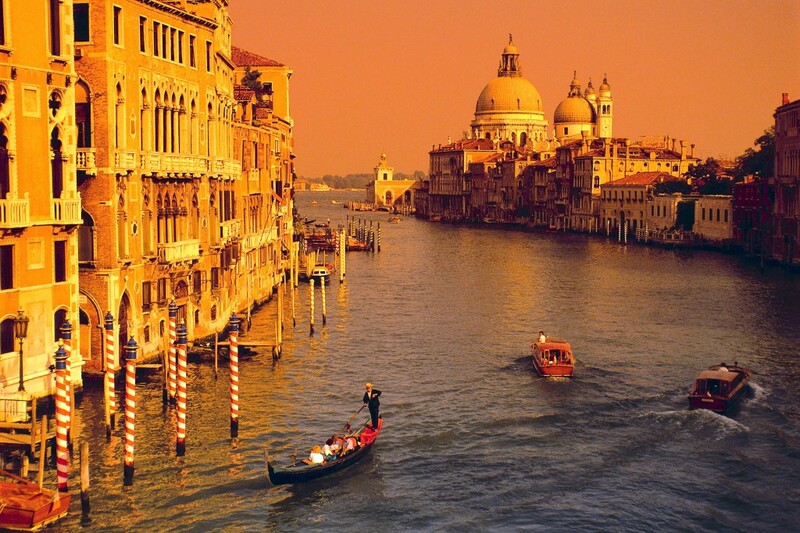 Wherever you go in Venice, you’ll find history, magic, romance and beauty. 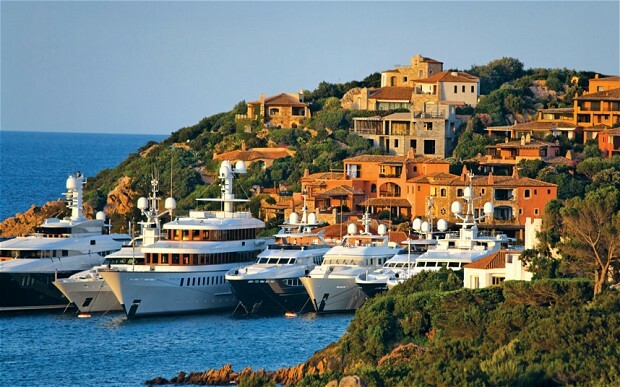 The whole of the Italian Coast is situated on the Mediterranean Sea which is known for its beautiful clear waters. 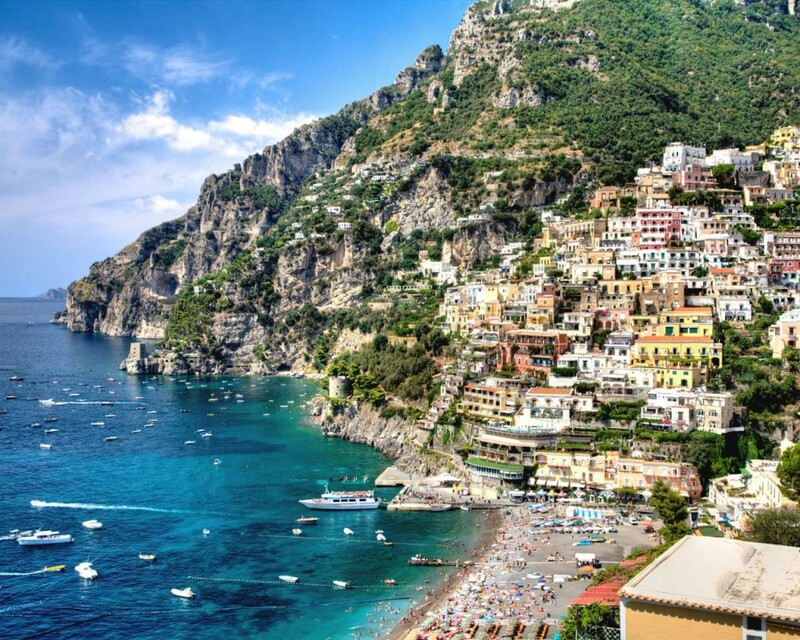 The Amalfi Coast situated on the western coastline of Italy is widely regarded as the most beautiful stretch of coast in all off Europe. 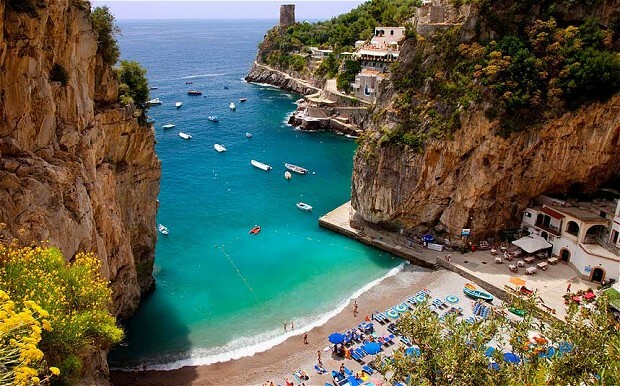 The Amalfi Coast is a 55km stretch of coastline with dramatic cliffs that crash down to the ocean below. 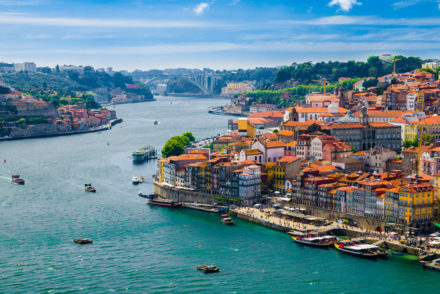 Beautiful beaches and hilltop towns with amazing medieval buildings and some of the most scenic roads in the world can be found on this coast. 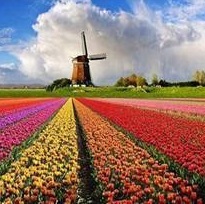 The area was pronounced a UNESCO World Heritage site in 1997 after UNESCO described the area as: “one of the world’s finest confections of natural and constructed beauty”. 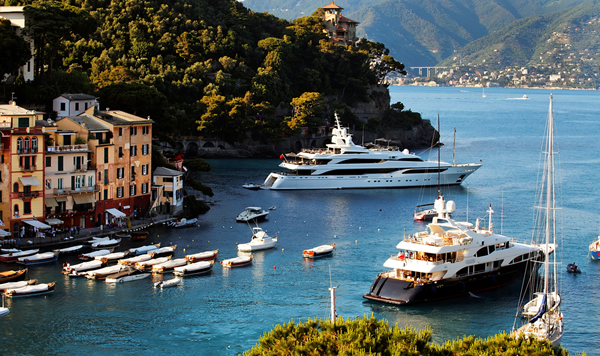 The most popular towns on the Italian coastline are Camogli, known for its great seafood and beautiful buildings, Monterosso, one of the most picturesque towns in all of Europe and Portofino, the resting place of the rich and famous. The lack of large sandy beaches has kept mass tourism from descending onto the Italian coastline which means one can still experience traditional Italy by visiting small coastal towns and villages, unlike many other European countries whose coastlines have been overrun by mass tourism. The Italian lakes situated predominantly to the north of Italy in the Italian mountains is arguably the most beautiful of all natural landscapes in Italy. The lakes are nestled between beautiful mountains that are snow-capped during the winter months, with small towns on their banks that overlook their crystal clear waters. 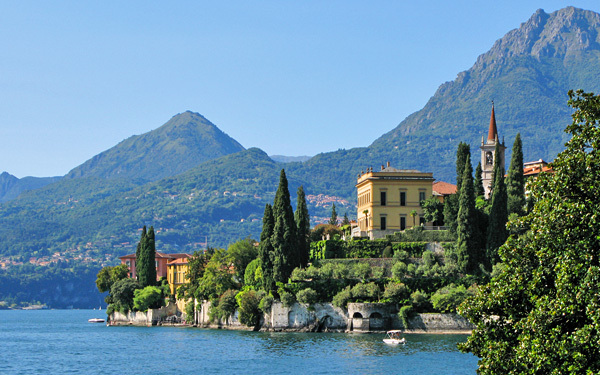 The most famous and arguably the most beautiful lake in all of Italy is Lake Como. 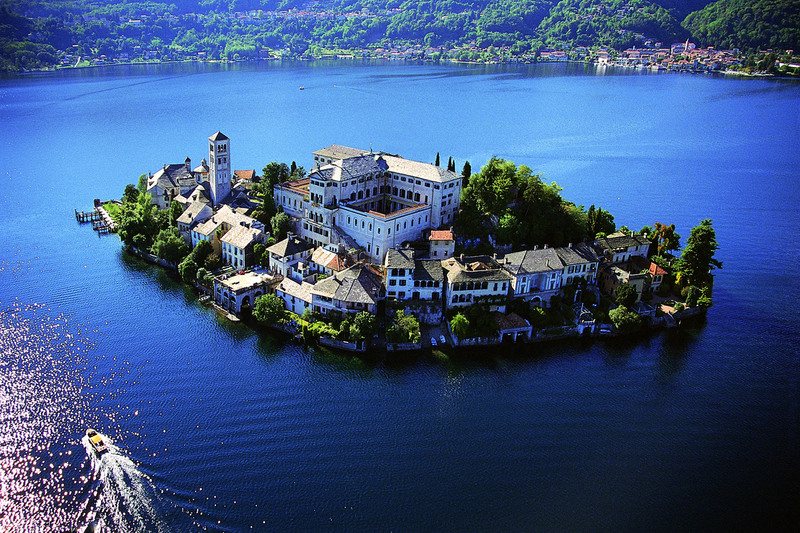 Movie stars, billionaires and presidents all call Lake Como home, over the summer months that is. The lake is surrounded by beautiful villas and resort villages as well as hiking paths. Lake Como is one of the most romantic locations in all of Italy with hundreds of couples from around the world tying the knot here every year. Maggiore, Italy’s second largest lake, is situated on the southern slopes of the Alps. The eastern side of the lake is covered with wild woodlands that are largely untamed and untouched by the human hand. Most travellers head to the western side of the lake where they fill up café’s and artisan shops while they enjoy the beautiful view of the lake and the Alps afar. La Dolce Vita….any all the rest! La Dolce Vita is an Italian phrase that was coined in the 1960’s to describe the exciting and care free lives people lived in Italy during the 1960’s. The phrase means “the good life” or “the sweet life”, socialites, movies stars, travellers and businessmen came from all over the world in the 1960’s to search for la dolce vita to experience this glamorous lifestyle of fast cars, good food and stylish clothes.